An easy-to-use single reference source covering the full range of subject areas associated with plant pathology! This comprehensive volume covers the entire field of plant pathology. It does not merely define the numerous subjects covered (297 topics carefully arranged in 38 sections!) but describes them in detail. Each section of this book serves as a comprehensive overview of a given area, providing breadth of coverage for students and depth of coverage for research professionals. 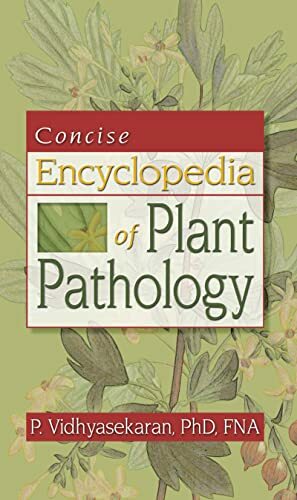 With the Concise Encyclopedia of Plant Pathology you'll examine the ancient history of plant pathology; structure, nomenclature, and classification of fungal, bacterial, viral, and phytoplasma pathogens; parasitic protozoa, green algae, nematodes, and parasitic higher plants; disease assessment, remote sensing and digital image analysis; molecular disease diagnostics; disease progress curve models and forecasting models; several novel disease management strategies; and a great deal more. This well-organized, readily accessible reference is an invaluable handbook for students, educators, and practicing plant pathologists.